Theresa May, Fulfil David Cameron's Promise To Implement The Bill To Ban Wild Animals In Circuses! Dozens of lions, tigers, zebras and camels are still used in travelling circuses in the UK. A new law to ban this use of wild animals in circuses is being repeatedly blocked by three Conservative MPs, despite the personal support of David Cameron, the government, Labour and over 90% of the British public. The British Veterinary Association backs the ban, stating: "The welfare needs of wild animals cannot be met within a travelling circus, in terms of housing or being able to express normal behaviour." The RSPCA said: "Cramped and bare temporary housing, forced training and performance, loud noises and crowds of people are often unavoidable realities for the animals." In 2012 the government pledged to outlaw what Cameron called the "outdated practice". But despite publishing the draft law in 2013, it has since failed to pass it. Former environment minister Jim Fitzpatrick, a Labour MP, took the government's own bill and presented it as a private members bill, with support from MPs from all main parties. But it has been repeatedly blocked by circus-supporter Andrew Rosindell, along with Christopher Chope and Philip Davies, all Conservative MPs. Please sign this petition to show the three MPs who are blocking the bill, that the public will not stand for their views being ignored. MPs are supposed to represent their constituents - not support animal cruelty based on their own personal opinions. "It is very much a matter of a tiny number of Tory backwoodsmen preventing this from happening," Fitzpatrick told the Guardian. "It is frustrating, but we are keeping the issue alive - it won't go away." 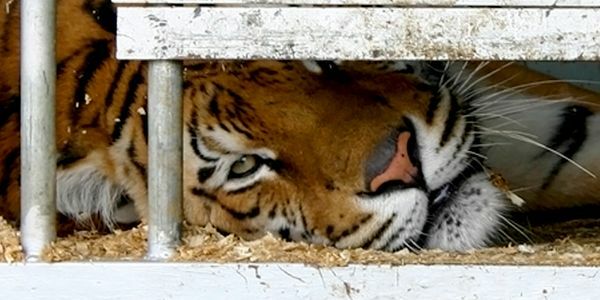 Please fulfil your predessor, David Cameron's, promise to bring in a new law to ban the use of wild animals in circuses. We also demand that you tell them to STOP blocking the Bill to bring in a new law to ban the use of wild animals in circuses. You, as Prime Minister, the Government, Labour and over 90% of the British public back the bill! The British Veterinary Association backs the ban, stating: "The welfare needs of wild animals cannot be met within a travelling circus, in terms of housing or being able to express normal behaviour." The RSPCA said: Cramped and bare temporary housing, forced training and performance, loud noises and crowds of people are often unavoidable realities for the animals." The public will not stand for their views being ignored. MPs are supposed to represent their constituents - not support animal cruelty based on their own personal opinions. Hi everyone and thank you for signing the petition against the use of wild animals in circuses in the UK. We have now sent this petition to the Prime Minister, Theresa May, and await a response. Please continue to share this petition with your friends. Scotland is to become the first part of the UK to ban wild animals in travelling circus after the SNP government revealed it intends to end the practice. To David Cameron, it is NOW time to finally stop the use and abuse of wild animals in circuses ALL OVER THE UK NOW!!!! Can I ask you to PLEASE share the petition again. THANK YOU. Now that the General Election is over I have changed the target of the petition. I am asking that Prime Minister David Cameron, who says he supports the new bill, ORDERS the MPs Andrew Rosindell, Christopher Chope and Philip Davies to stop blocking the bill. We shall see if Mr Cameron sticks to his word! Can you all please share the petition on Twitter, Facebook and anywhere else you can. 27 February 2015: Conservative MP Christopher Chope has blocked the bill yet again!! How can a few keep blocking a bill that has the backing of the Prime Minister?!? Please share the petition with your friends and ask them to sign and share. Let's get this important bill for wildlife through! Firstly, I would like to say a BIG thanks to all of you for signing this petition. We have reached a magnificent total of 94K signatures. With the Election coming up soon I'd like to have a surge in signatures and then I will present the petition to the people involved. Can I ask that you share the petition with all your followers on Twitter and Facebook and ask them to share. The more signatures we get the better chance we have of finally ending the use of wild animals in circuses.